As people get older, they may find that they no longer adhere to the personal care routines they’ve maintained over the years. It may be because they have difficulty getting in and out of the shower or tub safely. Perhaps they can’t reach up to wash their hair or distinguish one product from the other. If you or a loved one is in this situation, a trained caregiver can help. Caregivers can assist with maintaining personal hygiene, including toileting, bathing, dressing, and grooming. When you maintain your personal care routines, you can look and feel your best. Caregivers from Home Care Powered by AUAF can assist you with shampooing, shaving, hair combing and styling, as well as many other grooming needs. 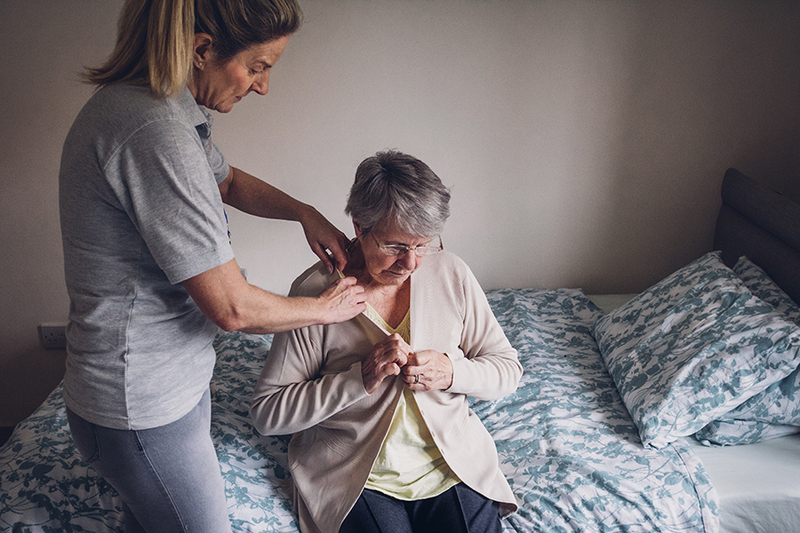 They can offer compassionate, dignified help with personal aspects of daily living, such as toileting, so that seniors can avoid skin infections, unpleasant odors, and general hygiene problems. Our core mission is to ensure our clients’ healthy lifestyle and well-being. Call us today at 877-947-2685 and ask how Home Care Powered by AUAF can help with your personal care needs.